Richard - We got into hair dyes because I've spent my whole career working in the area of colour chemistry, started off dyeing textiles but then eventually got into sustainability. And we were concerned about some of the research around current existing hair dyes linked to allergic reactions and other toxicological effects. So we really just wanted to provide an alternative. We started by really applying those principles of sustainability, green chemistry, whatever you want to call it, to try and find what we thought was a safer alternative. And so to do that we looked to nature. Chris - So what are you looking for in a good dye? Richard - We want the dye to be attracted to the hair. We want it to bind to the hair first and foremost so that you can get a strong colour. We also want it to stay there. We don't want it to wash out. We don't want it to fade in light and obviously we want it to be safe. We want it to be easy to apply and for it not to have any negative effects on the user or in subsequent disposal when it goes down the drain. Chris - Now anyone who's ever done the experiment with an Italian dish and their white shirt, or had children that have gone and played cricket and come home with whites that you cannot clean for love nor money. I mean it's pretty obvious that nature is replete with all kinds of exciting colours that have a very close love affair with things that we don’t want to become coloured. So why is this a problem finding things that are out there, natural dyes, that that won't have environmental hazards and will do the job you're looking for? Richard - Well we shouldn't assume that natural equals safe. Nature spent millions of years evolving methods to stop it from being eaten and to be poisonous and things like that. And actually if you look at the plant kingdom, there’s actually not that many things as a percentage that you can eat. First and foremost we have to know that if we use it from nature it's got to be safe. But in terms of the ability to colour hair we have to look at specific types of chemistry in nature. Chris - And what chemistries have you explored here? Richard - Well I'll give you a great example. Beetroot, as you'll be familiar with, is an incredibly intense, red color. Put that on the head and it doesn't do anything. It literally washes straight off. 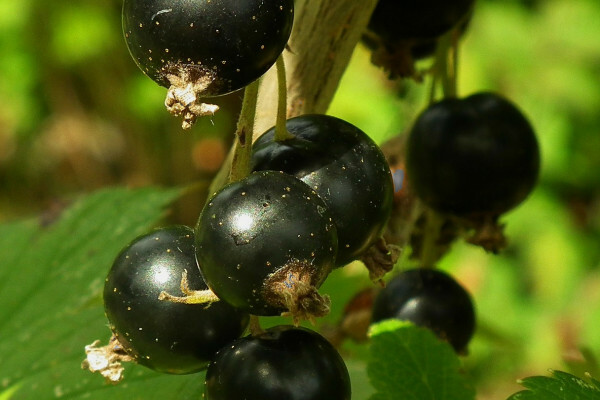 Whereas these pigments that we get from the skin of a black currant, they have got a certain type of chemistry which allows them to bind very strongly with protein, and hair is essentially a protein. So we thought “Well you know, let's see what happens.” We extracted certain compounds from the skin and then developed that application, basically making a formulation. Chris - Doesn't this mean though that you end up with purple hair? Isn't this a bit like the hair equivalent of the model T Ford of the early nineteen hundreds? You know, any color you like as long as it's black currant. Richard - Well, unlike Henry Ford, we're not that limited. The great thing about these pigments that occur in fruit and in flowers, they’re called anthocyanins. Interestingly, “anthocyanin” comes from the Greek “anthos,” meaning flower, and “cyan” meaning blue, which is really interesting because most of these anthocyanins in fruit certainly don’t make a blue. Even a blueberry is not blue. You know, when you crush it, it's quite purple. But what happens with these anthocyanins is that they actually are pH sensitive. So in the plant they tend to be more reddy and purple and that's at very acidic conditions. Now as soon as you actually start to change the pH, the colour will change. Then they go blue when they become more neutral. Chris - Well you know you're not selling this to me Richard, because either you can have purple hair or blue hair. Richard - Well you see the interesting thing there is that if we're going to make these colors go on to the hair we want to be able to produce a whole range of different colors. And the most difficult thing to get from nature is a blue. If we can get a blue then that means we can combine that with a red and we can combine that with a yellow. So we can get a brown with this system. Chris - So that does have potentially genuine applications. Chris - You can dye hair with this and it won't wash out? You won't go in the bathroom and your hair color goes back to whatever you started with? Richard - It's in the classification of “semi-permanents”, which puts about lasting about 12 washes. Chris - And is this more sustainable in the sense that I haven't got to go and grow an enormous field full of blackcurrants just to make hair dye? Richard - Well the great thing about being in the UK is that we grow a tremendous amount of blackcurrants, and over 90 percent of those are used for “Ribena”. So those are pressed for juice and at the end of that process, essentially, the pressed skins are waste material which ordinarily were being thrown away. And that's how we came to this in the first instance when we were looking into nature and trying to find all the different solutions. So we take those skins and extract the pigment out of that, and that's the kind of science bit if you like, is how we get the pigment out and turn that into the hair dye. Next Myth: Why do sharks attack swimmers?